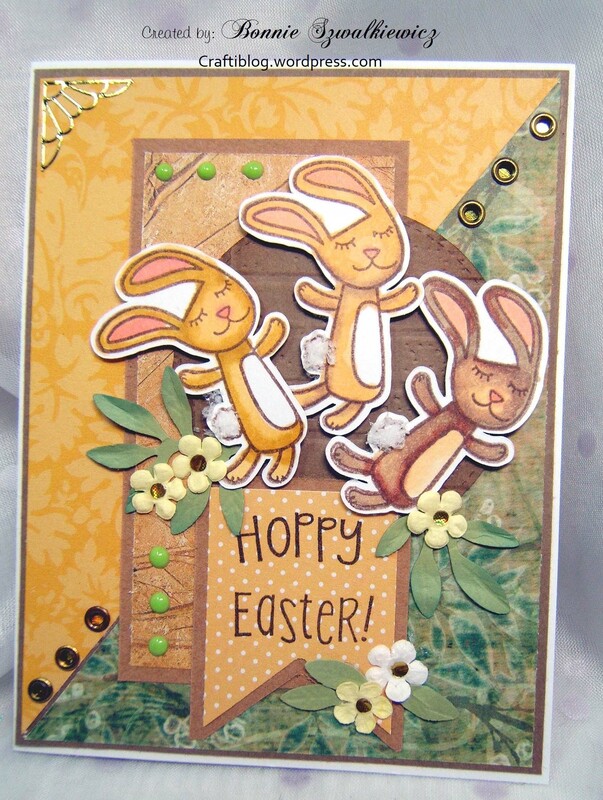 Here is a fun design using only a $1 acrylic set by Studio G. Both the sentiment and bunnies are included in the set. It has been in my Ester themed box of supplies for a few years. I’m not sure this has ever seen ink before. I’m glad it did, it turned out cute. A close look at my coloring. I know there are experts out there that are gagging at my attempt. However; I just don’t have the want to, to spend hours on coloring. I do admire their color blending skills though! The card’s DP were dictated by whatever was in the basket of scraps laying on the corner of my desk. For the next few days you will see the Bunny Momma image. I found this in my Easter themed box. I believe this image was gifted to me by either Maggi or Lonelle. I apologize to them both as I can’t remember. 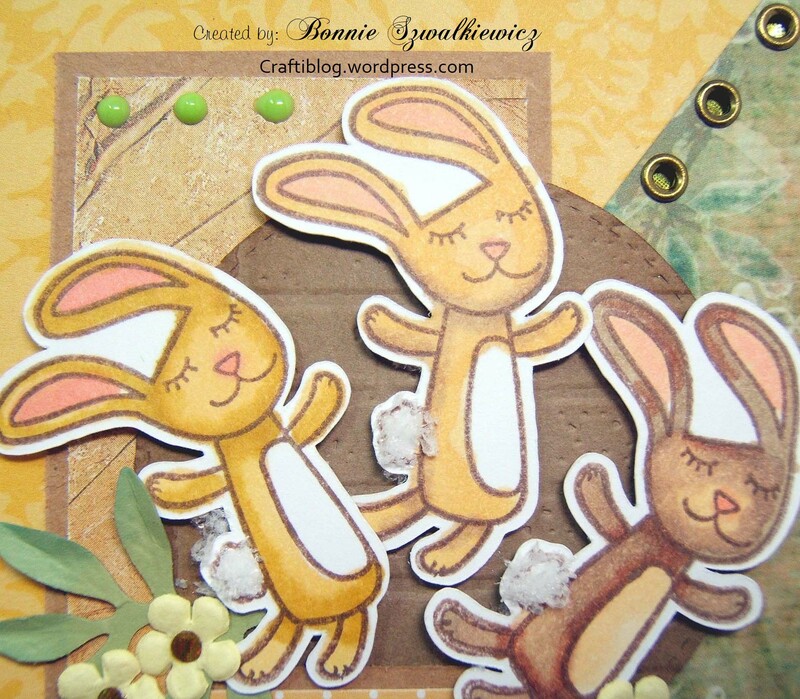 I stamped the bunny image a few times, having the scan-n-cut cut out the images. 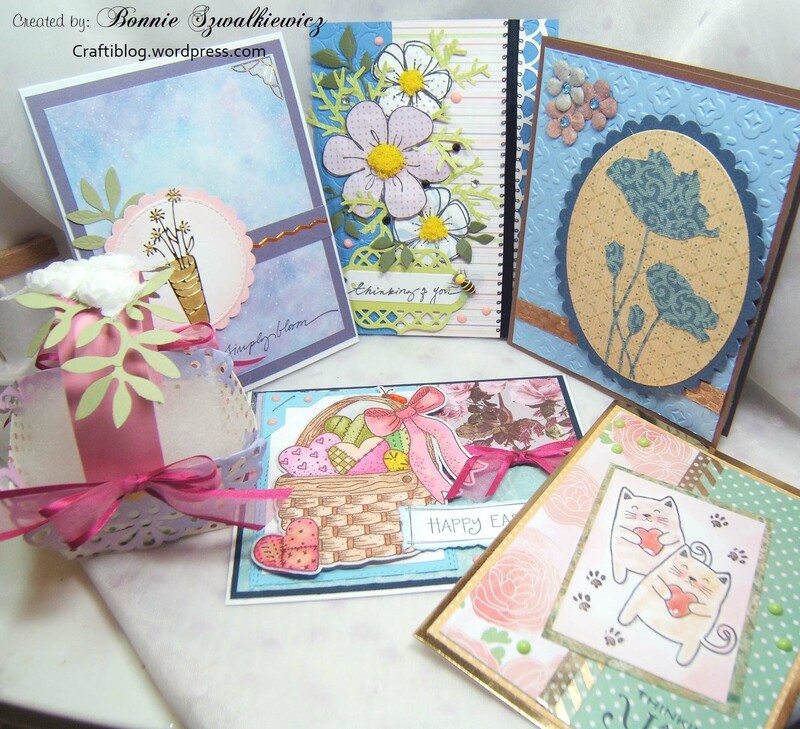 I then went through the basket of scrap DP on my desk and made cards out of each one of them. 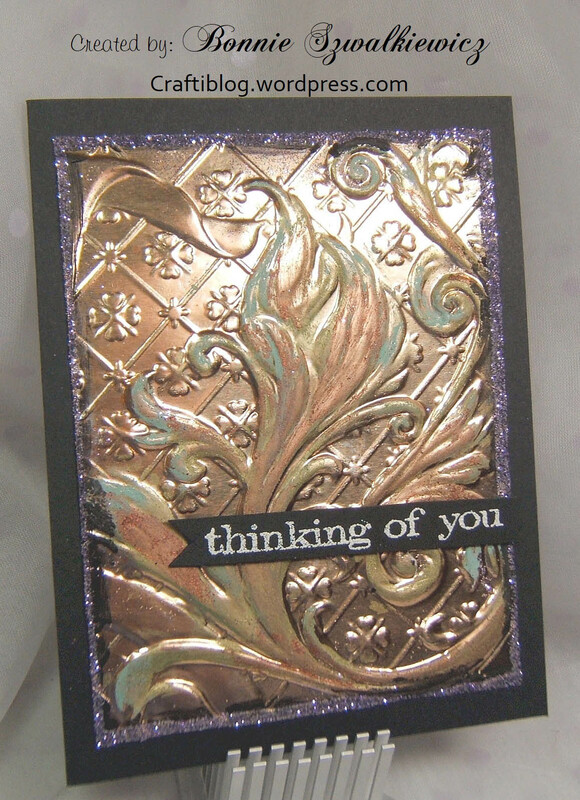 The sentiment is by Studio G.
As I sat at my craft table this morning; nothing came to me. You’d think with as many stamps, inks, card stock and DP at my finger tips inspiration would come to me. Not so much. 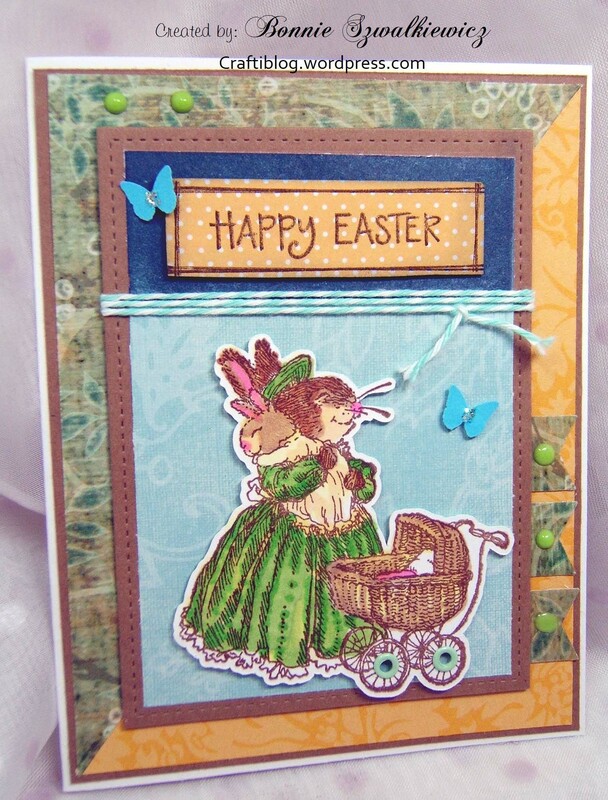 My idea was to pull out a package of stickers I had gotten from the dollar store and make a card out of it. 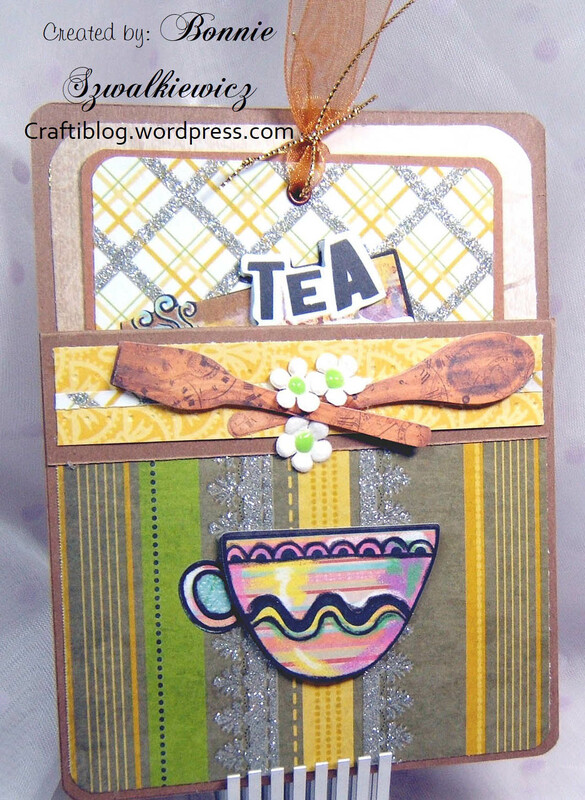 Using just the stickers and whatever DP was in the scrap basket; here is what I came up with, a pocket card. Here I’ve pulled the tag out of the pocket. You can see that it is just decorated with more of the scrap DP & dollar store stickers. 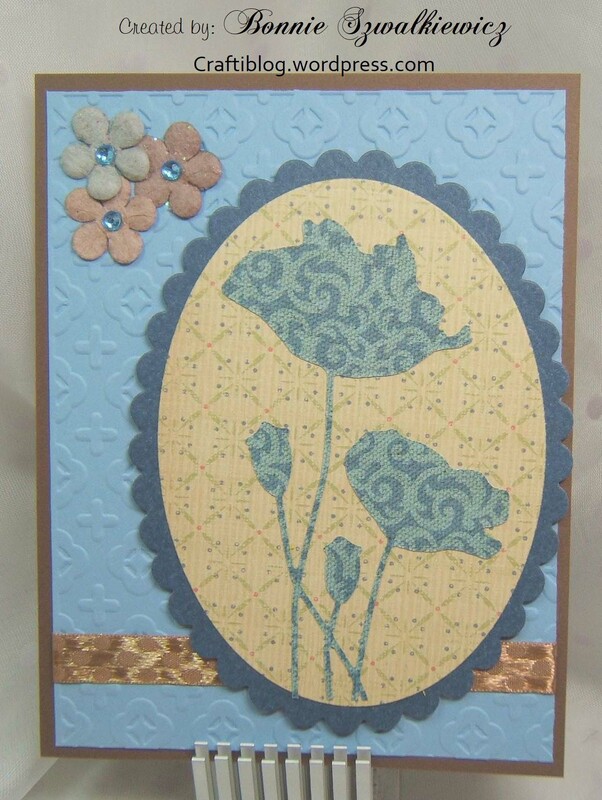 And this card is ready to mail. I’m thinking of tucking a tea bag into the pocket as well as the tag when I mail it off. 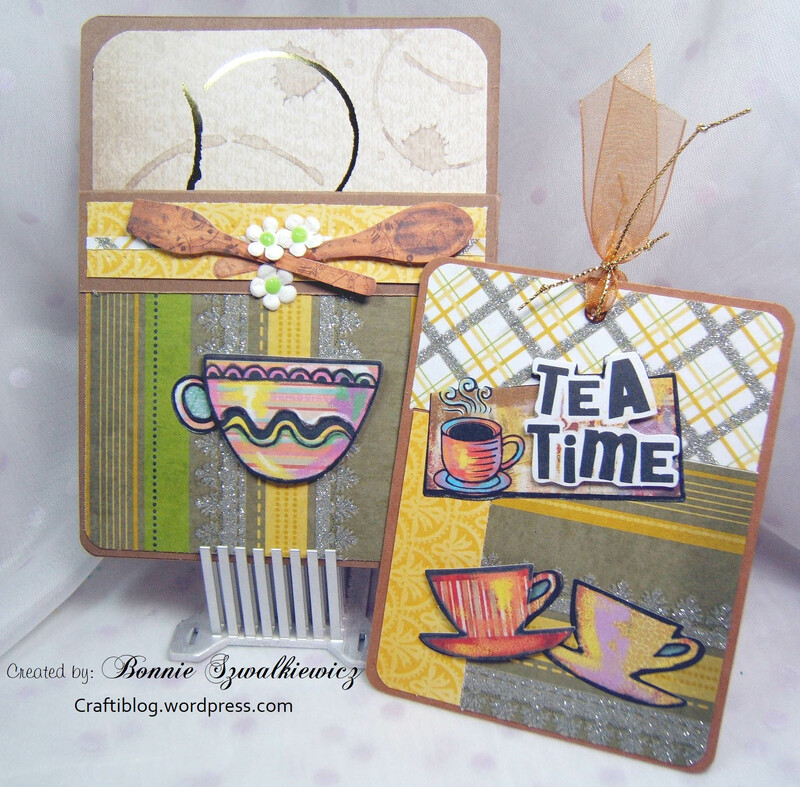 The recipient can have the tag for a bookmark and enjoy a cup of tea. 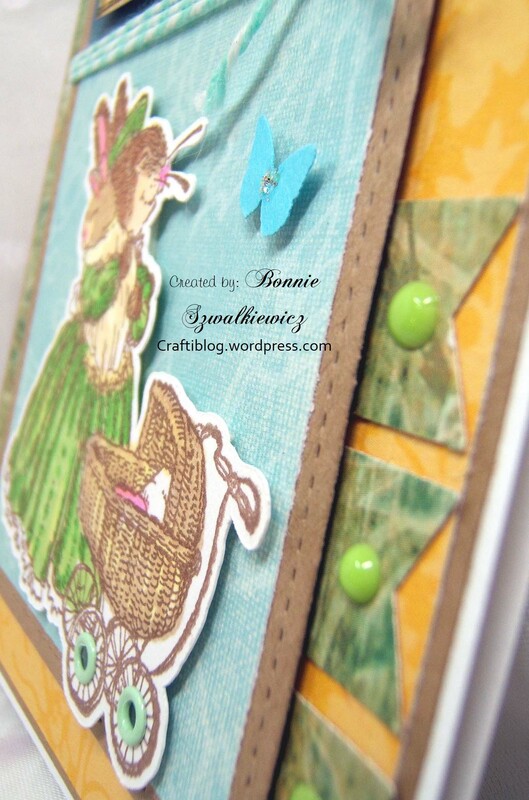 Yesterday I saw a sample on a blog where they used the craft mat as their stamping pallet. It looked interesting. 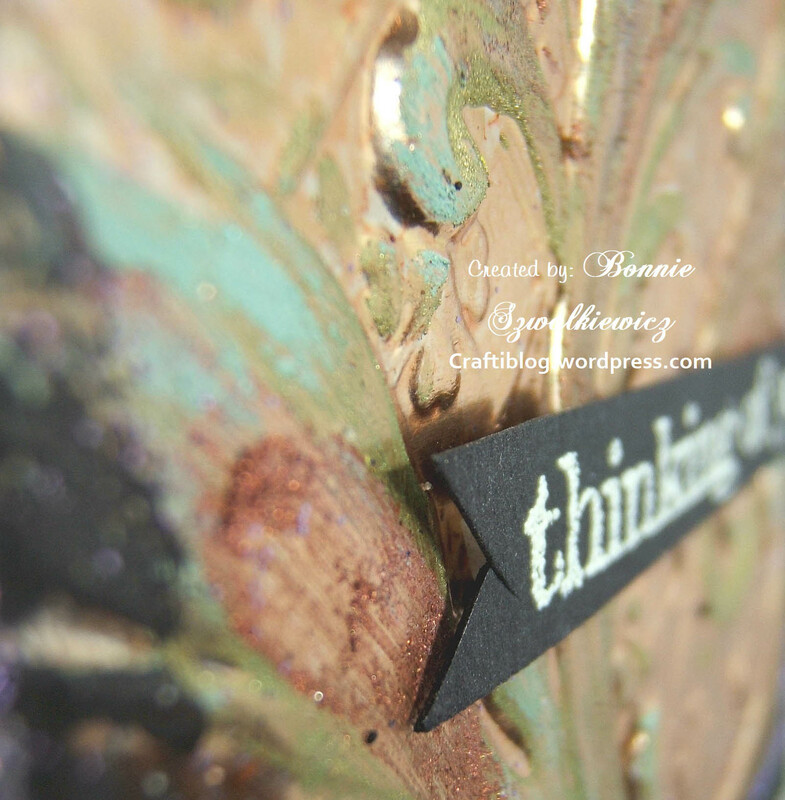 I’ve done the dipping of the card stock into the craft mat inks but have never tried using a rubber stamp in it. 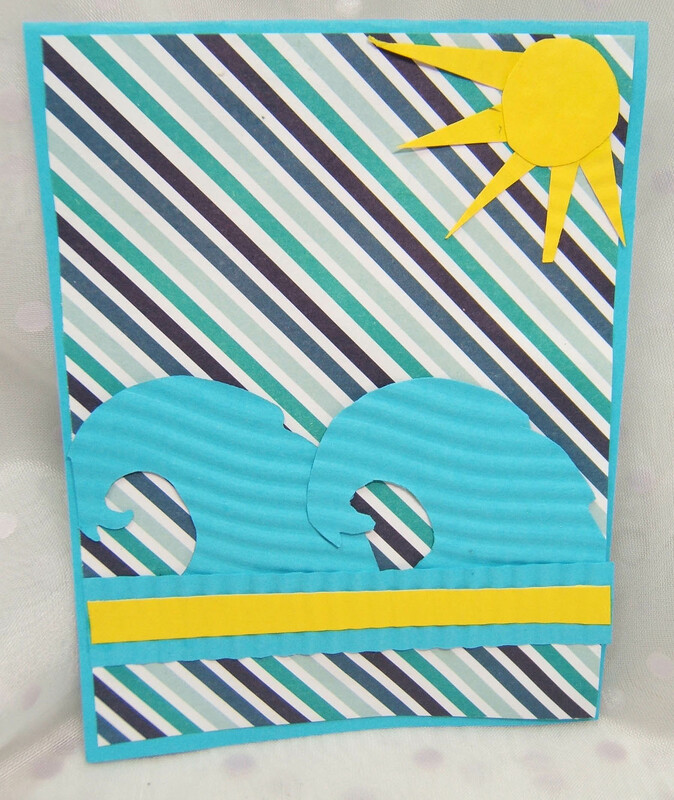 Here is a sample very similar to the instructions using what supplies I had on hand. And one more look before you go on about your day…. 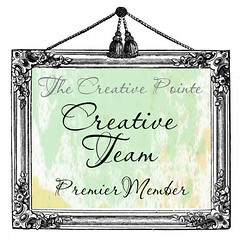 video courtesy of Channin Pelletier be sure to visit her at her blog. 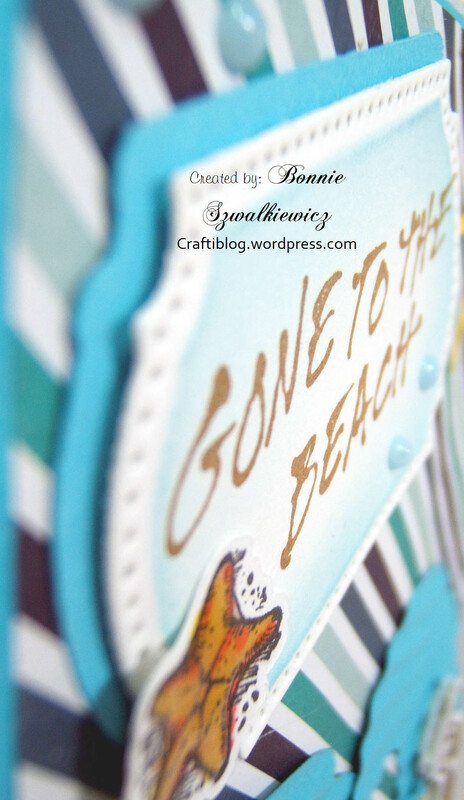 A few weeks ago I was working on some 3-d embossing using the one and only folder I have. (sample HERE AND another one HERE) I have had it for years and rather than buy any of the new ones out in the stores I pulled this one out and gave it a go. I took Rub-n-Buff metallic rub ons and added it to the some of the raised image. I tried green, blue, red and black. Along the edge where I added the black Rub-n-Buff I also added purple glitter. It’s pretty in real life, not so much in the photos I don’t think. The gold embossed foil is pretty impressive. Last December I was able to go on my first cruise ever. On one of the days I was looking for activities and I found a scrap booking class in the library. 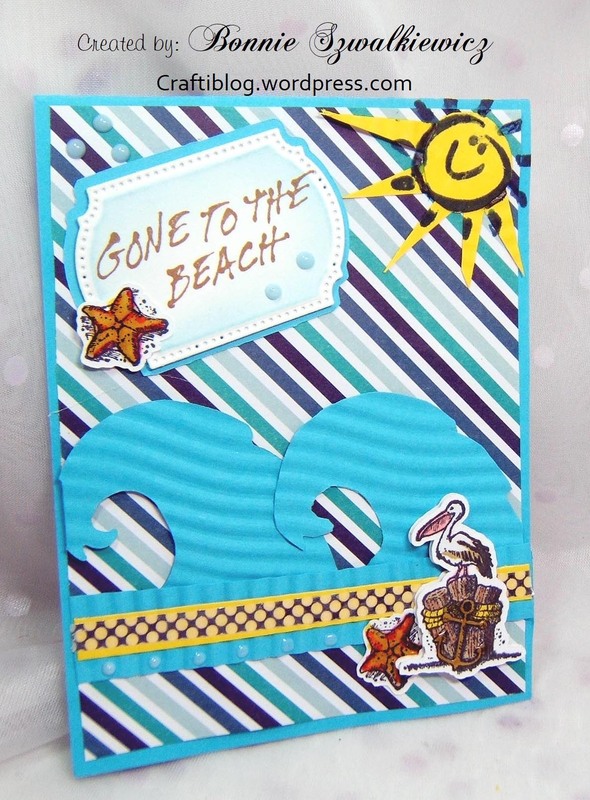 I’m not a scrap booker but I was able to make a fun card to remember the cruise by. Here is what I brought home. Yes, I know it needs help. Help is on the way. 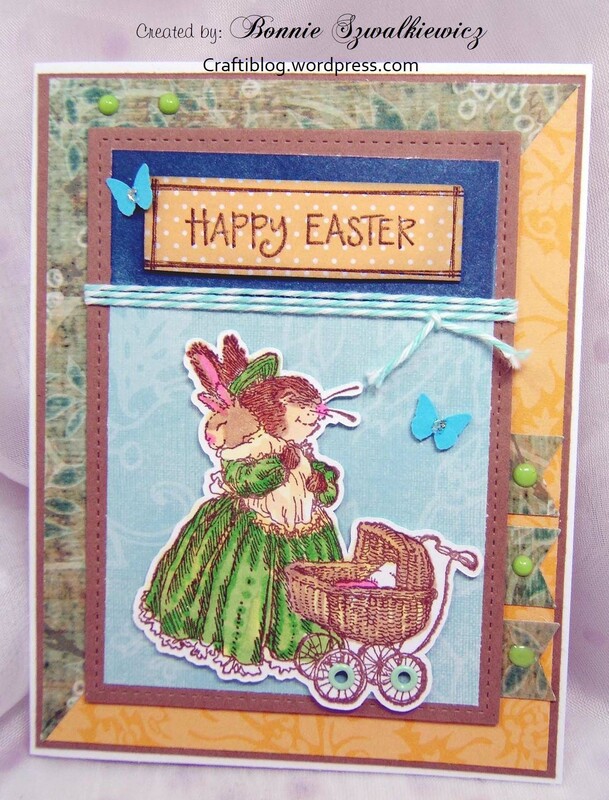 One of my stamping friends just sent me this stamped sentiment. 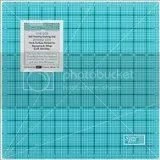 I die cut it out and created a matching mat for it using my scan-n-cut. 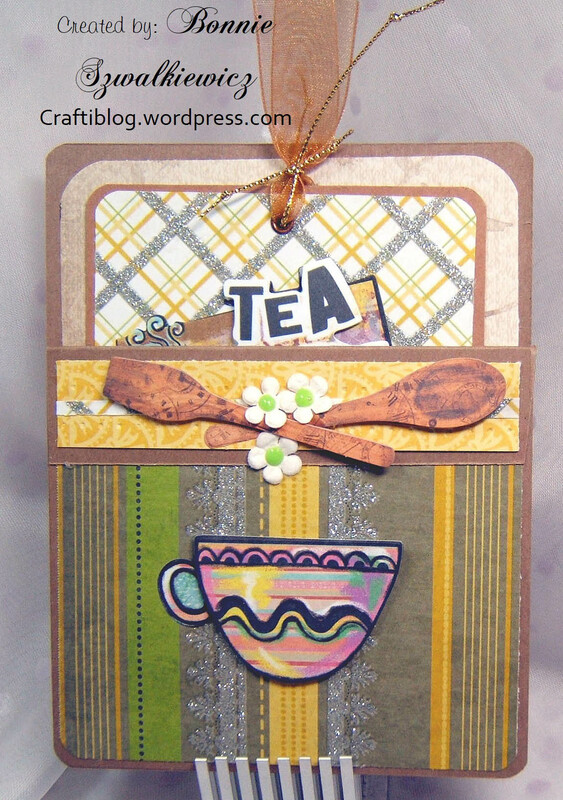 I also added some stamped elements, washi tape and Nuvo drops to finish it off. 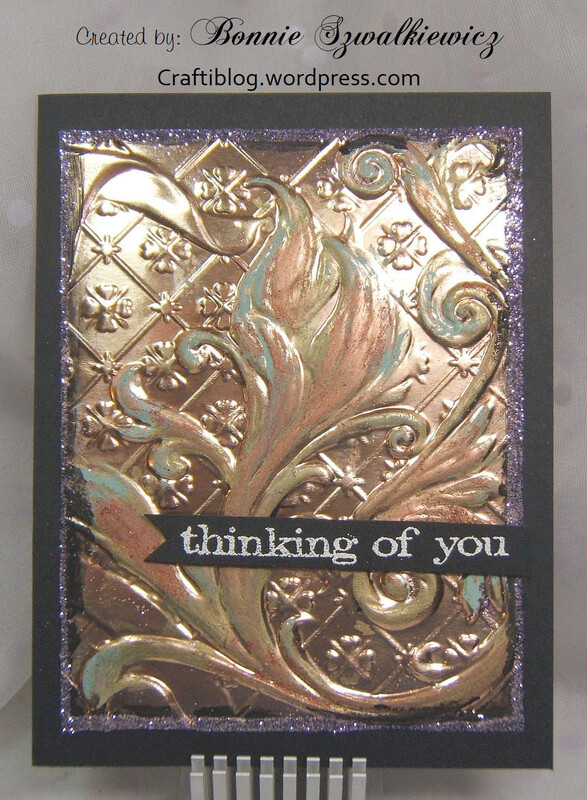 Thanks to my stampin’ buddy for sending the sentiment. It reminded me to finish off my cruise card. 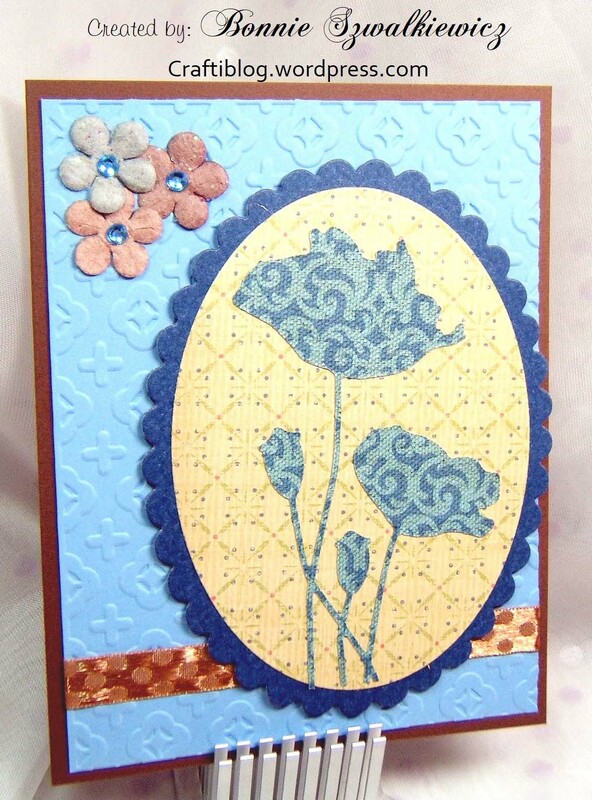 The last card I have to share with you is one designed by Chrissy. 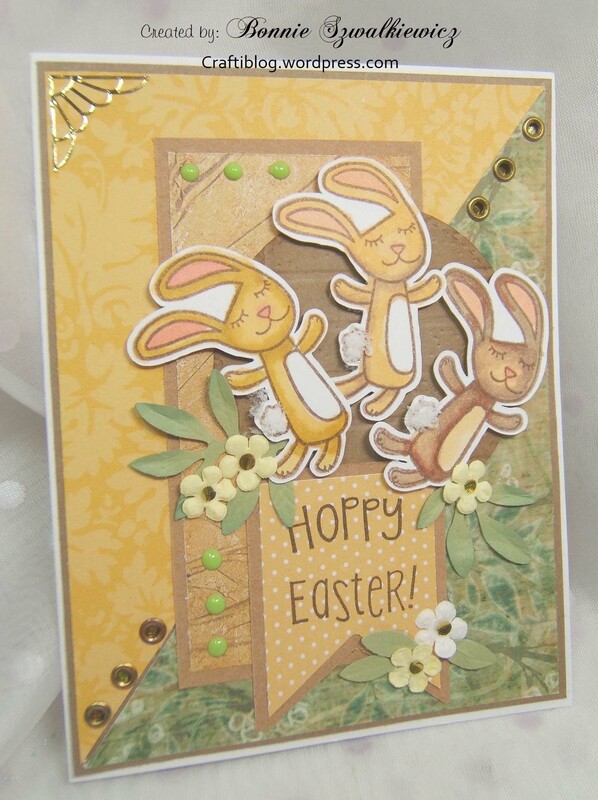 This is an ABR card meaning that it was made without the use of even one rubber stamp. It really doesn’t need one; but if I felt the urge I certainly could add one. On this second view; I brighten up the contrast so you can really see everything. I would have never thought to use DP for the flowers. They look great this way. This is quite the assortment! Thank you to all of the shoe box ladies for sharing their supplies and ideas with all of us. I had a great time!